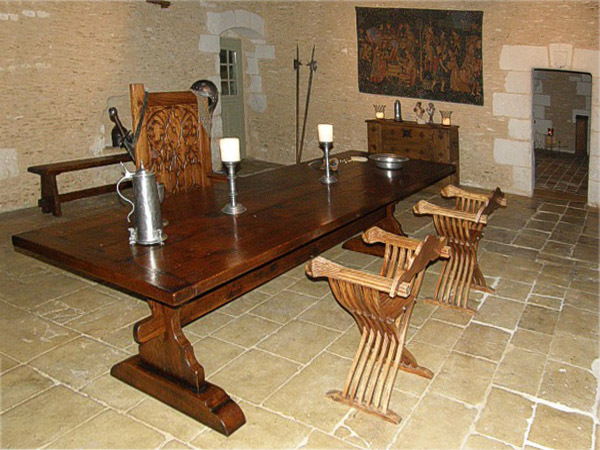 Our Medieval style oak trestle table in an old French property. Our Swiss based clients very kindly took the photos and sent them to us. 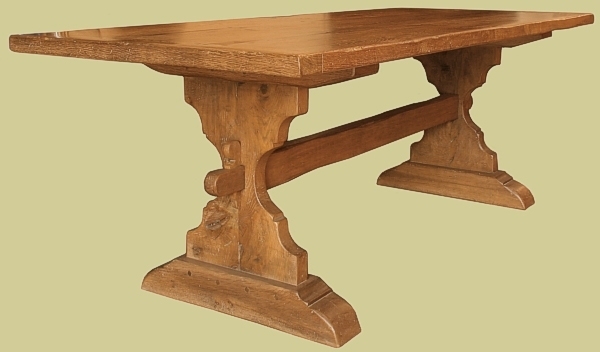 They also commissioned a boarded oak settle, from our Wilmington range, as well as some Italian replica early pewter.